A narrative of addiction and redemption is weaved out of the lives of those attending AA meetings. Many years ago I was told that without addiction and recovery, a vast majority of the worlds great things would be lost. The theory is that without the addiction itself, there would be no drive to recover and be better than we were. The "bettering" provides the new ideas, innovation and drive. 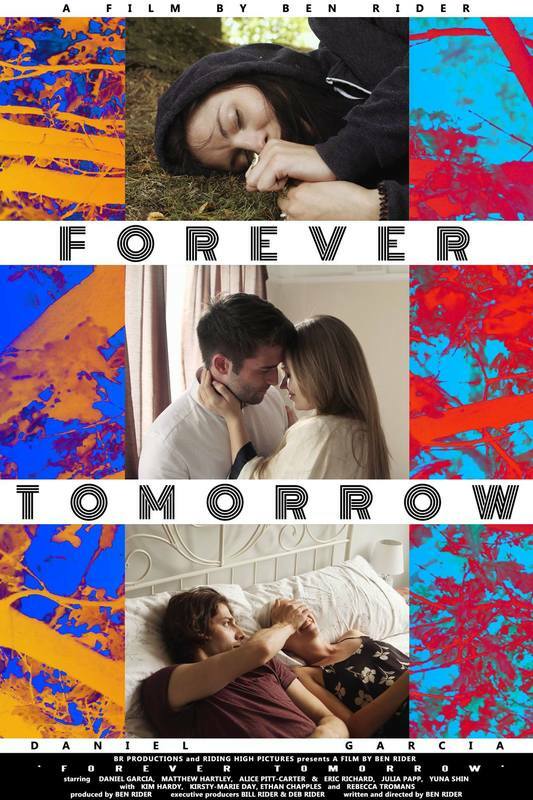 "Forever Tomorrow" uses addiction and the recovery process as the backbone for it's story, and does it so well. I can't say for certain my "friend" is correct with his theory, only that it makes perfect sense to me. When it comes to this particular film, I can't help but wonder if writer, director Benjamin Rider has any first hand experience? I don't mean that in the worst way, only that certain scenes in "Forever Tomorrow" seem very real. If the scenes were based on reality, it would be another notch in my "friends" belt, regarding his theory of addiction and recovery paving the way for great ideas. A very interesting notion indeed. Speaking of the recovery process, the scenes presented in this film, within the AA meetings, provide some real "gem" segments of the movie. These scenes are the glue holding up the happenings of the films various characters, the real world showcase of the film. Speaking on our cast of characters, they are numerous but focus on two who I would consider our leads. Aaron, played by Daniel Garcia, and Alice, portrayed by Alice Pitt-Carter. Watching them easily brings to mind more than a couple people I currently know. We all know them, and it's this commonality that really makes the story hit home. Not the actions of these characters themselves, not the stories of these people narrated at the meetings, rather the fact we all know this type of person. In one form or another, from one stage of our own lives to another. This is what makes "Forever Tomorrow" so entertaining. Knowing these could be real people in our very own personal lives. Different names, same personalities. Benjamin Rider sends out a story that could be about our very own friends and neighbors. The world is not that big a place after all. The first thing I noticed when hitting that play button, was the old school aspect ratio of the production. I'll admit that right away, I thought this was a little gimmicky. As the film progressed... ahh hell, I never did get used to it. The idea may have seemed like a cool one at some point, but seeing the massive black holes on each side of my screen wore at my nerves. Even originally, the 4:3 ratio was designed to fill the standard screen of the time; so why revert back in the age of widescreen? Stylistic choices are one thing. When my eyes keep being drawn to the black sides of my screen however, maybe it's not such a good idea. Aside from that, the technical elements of the production were done quite nicely. Especially for an indie. I was more than happy with the clear dialog. Even the colors and lighting felt right. I also happened to appreciate the raw style in which the testimonials were presented, during the meetings. These mini-narratives contained some powerful stuff and although a little long at times, added some real life credibility to this production. Speaking of long winded, some of those same testimonials did come across as a little lengthy. I understand that in this case, it would be difficult deciding what to cut, to make them shorter... but some slight cuts would do wonders for the film. "Forever Tomorrow" is a dialog driven film and should have been edited as such. Cutting away ten or so minutes would have done wonders for the pacing. I would think the run-time could have been shaved from the stories told in the meetings, with very little loss to the intended effect. Another interesting distraction from the onscreen events was the scoring. Don't get me wrong, the scoring itself was very well done... There was just so much of it! "Forever Tomorrow" is blanketed by the backing score. Near every scene contains some form of musical audio. Sounds like such a small thing as I type it, but not so much when you see (hear) it in play. Numerous scenes I would have loved to have just gotten to hear the dialog, with no backing tracks. The score should enhance the film, not take it over completely. Speaking of dialog, one of the high points here was the acting itself. Our lead characters did a fantastic job, but so did the secondary cast. Did I mention how powerful the testimonials were? These felt like real people, reliving real situations. Bang up job. This was a good film. Period. The small gripes I had with some of the technical elements are just that. Small. "Forever Tomorrow" is a gritty, real dive into the lives of so many people we already know... or maybe even have been. The drama feels real and believable, never calculated and fictitious. I especially liked how the film ended with another hint of realism. There was no real happy and exciting ending. Only new starts. You may think the two are the same but they are not. The characters didn't have their dreams come true, or come out shiny and sparkling. They simply went on with their lives, come what may. Much like real life, which is what made this film so entertaining. Live, learn, make mistakes and move on. Repeat when needed and do what you can to make things better. That was the core of this movie, at least for me it was. I Gotta Be Me Review.